the greatest piece of mind when choosing iPhone Screen Repairs Hull. 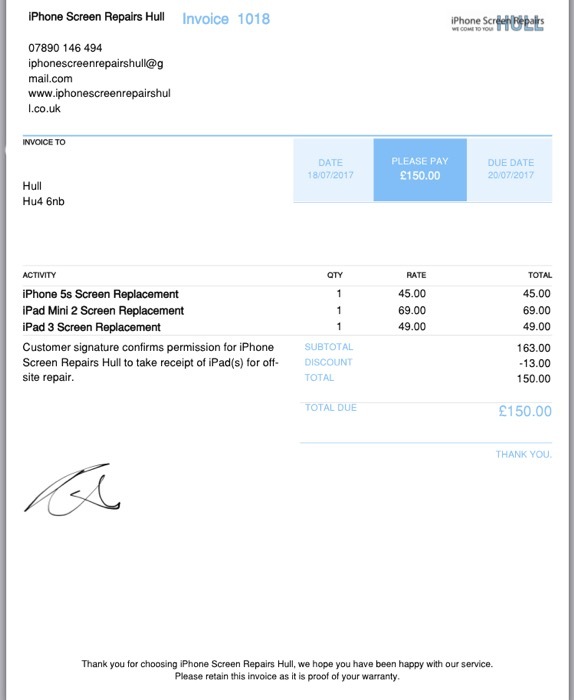 We now take an online signature from you when we pick up your iPads and immediately send you the invoice with the due return date on it. Totally hassle free, they are your proof of purchase and 9/12 month warranty. Every detail itemised so you can see exactly what you're paying for.